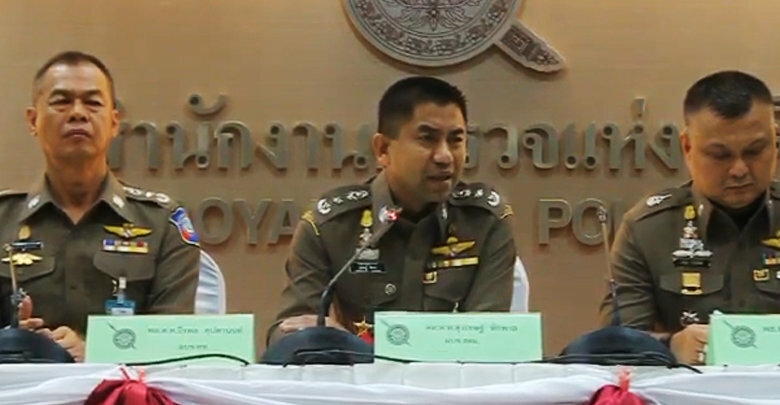 Immigration Chief Lt-Gen Surachate Hakparn has told the Thai media how a change in police tactics means that Nigerian romance scammers and their Thai accomplices will no longer get off the hook. Previously Lt-Gen Surachate - known as Big Joke - said that romance scammers were just charged with fraud. In such cases victims could withdraw complaints if they were compensated by the scammers. This led to some walking free and being able to repeat the crime on others. They were previously just not scared of the Thai law. Now this is not the case. Commenting on the recent case of a gang of Nigerians and Thais operating out of Malaysia Surachate said that those responsible would be charged with fraud committed against the Thai public - a charge that cannot be withdrawn by the payment of money. In addition investigative work by the police's tech arm has meant that those involved in the latest case can be charged with conspiracy and money laundering that will ensure they pay for their crimes with long jail time and are not free to re-offend. The latest arrest was of Nigerian Nadoo Buchi Kenneth Oti, 40, and a Thai woman called Kanokkarn Charnkla, 27, and six other Thais that INN did not name in their report. They are believed to be part of a large gang now being moved back to Thailand from Malaysia. Previous reports suggested the gang was targeting Thai women in Chiang Mai. Surachate once again warned the Thai people not to fall for the scammers. I would also add cancelling whatever visa they are here on, and then blacklisting for 10 years. Why does this remind me of inspector Clouseau: "I am an officer of the leu"
so what about the African drug dealers around Suk Soi 3 who appear to operate without hindrance? they are not deadly romance scammers! "The latest arrest was of Nigerian Nadoo Buchi Kenneth Oti, 40, and a Thai woman called Kanokkarn Charnkla, 27, and six other Thais that INN did not name in their report. " So 7 Thais and one foreigner. Thais don't need a visa by the way. They were previously just not scared of the Thai law. Only the poor are scared of Thai law. ROMANCE.........is a scam. WAKE UP!!! It is only the ones who are not in the Biggest Joke's "System" who need to be afraid. Take care of the franchisee, and no problems. Yesterday I met this lovely girl who promised me she will love me long time if I will build her a house. Obviously I think she is different and not like all the bad girls other people write about in this forum. I am sure she will love me long time. But just in case she doesn't do that can I get my money back which I spend on her house? And how much can she deduct for every time she loved me short time?